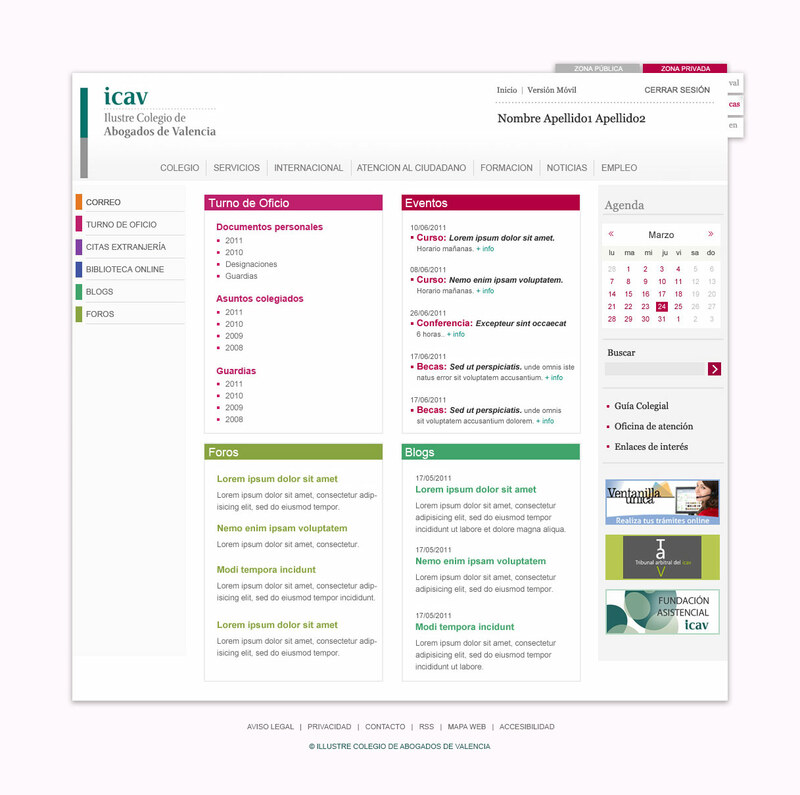 Icav: Lawyers College at Valencia (Spain). 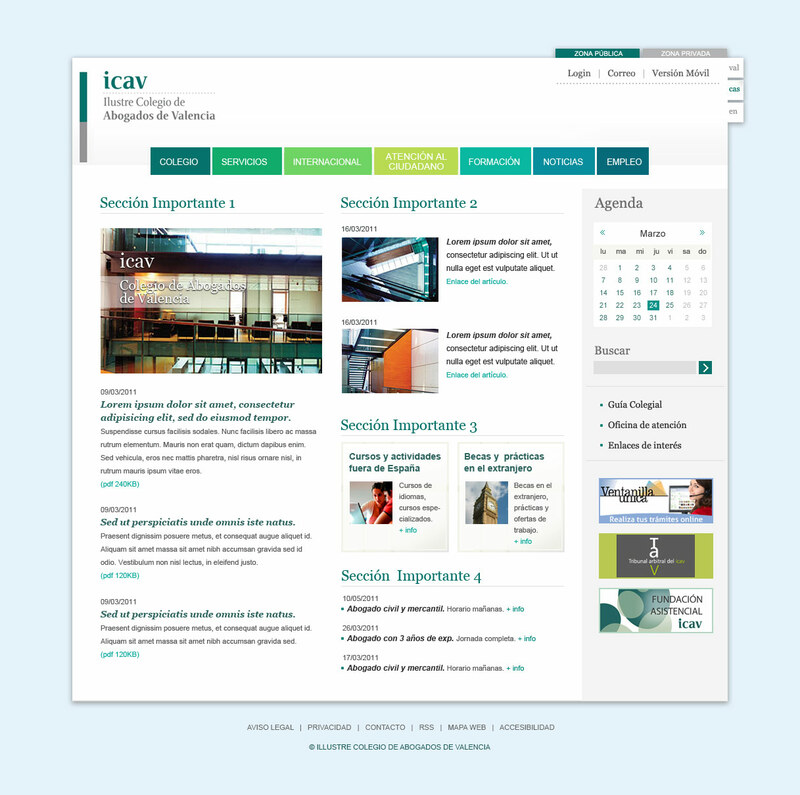 Proposal for a very large website and intranet, with many sections and documents. 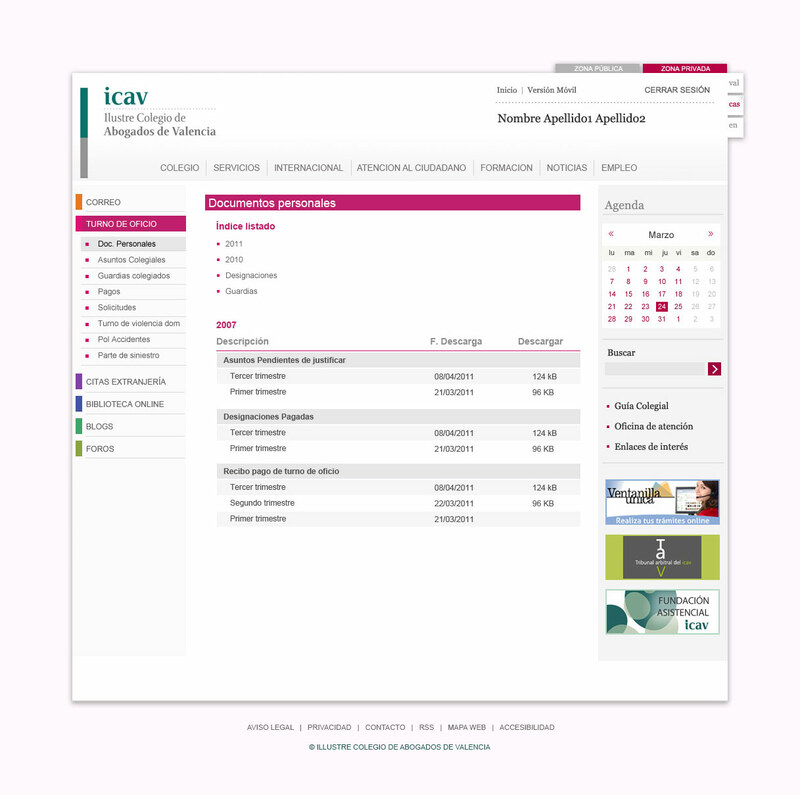 The sections are orders in differents colors. The text styles ordering the information too.